In most cases, hair loss is caused by poor diet and lifestyle. After all, your hair needs to get the right nutrients to enable it to grow beautifully and healthily. But if your consumption is filled with fast foods and you don’t have enough fruits or veggies, how can your hair be healthy and strong? A few lifestyle changes can really turn the conditions and show positive outcomes. Make sure you have enough consumption of fruits and veggies. Do you know that your hair needs enough supply of vitamin B12, zinc, iron, and protein? When it doesn’t have enough supply, it will be weak and wither. You should have a regular intake of nuts, fish, lean meats, beans, and leafy greens. The hair will grow stronger in its natural condition so make sure that you limit the use of irons and hair dryers. The best way to dry the hair (after the shampoo) is to air dry it. Using tools (especially with the heating method) will cause your hair to go britle and dry. When it is dry, it is prone to damages. Massage can improve the blood flow, including the area of your scalp. When you are shampooing, spend some extra times to do the massage. Not only it will increase the blood flow, it will also allow better penetration for the treatment shampoo. After all, massaging will make you relax and contented – and good mood is also good for the hair growth. The traditional Chinese medicine believes that everything in the body is related to one another. 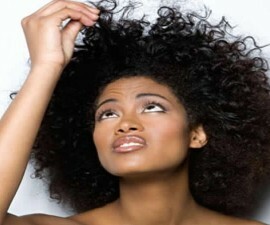 It also believes that blood and kidney energy are playing a significant role in the health of the hair. When you can combine Chinese herbs and acupuncture, the result can be amazing. Mind you, though, that this practice hasn’t been backed up by scientific evidence, but a lot of people claim that they have experienced improvements after the weekly treatments. The fall starts to stop and hair regeneration has improved ever since. 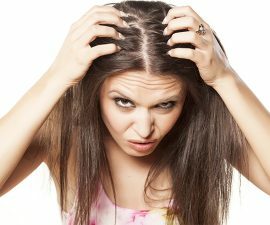 Hair loss can also result from stress, especially the non-stop and chronic one. Chronic and sudden stress can seriously affect your overall health, including the condition of your hair. Try a breathing technique that can calm you. If you are living in a stressful situation, learn to meditate. It will definitely help. Besides all of those possible solutions, consulting your doctor should be included in the hair loss treatment. They are the experienced experts who have dealt with so many different people and also different cases. They should be able to advise you some of the possible alternatives and solutions. This treatment involves regular blood test to check the ferritin and also vitamin D level. Ferritin is the iron within the blood. When the level is low, it can cause the hair loss. By maintaining the healthy level – adding up the vitamin D and ferritin – you can fix the issue. 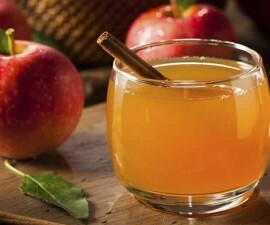 This can also work as the preventive measurement. This solution is generally taken if the problem is considered serious. Some women have genetic issue where they are prone to female pattern hair issue. During menopause, the thinning is possibly increases. But with hormone therapy, such an issue can be minimized. Cortisone is injected directly to the scalp and it will block the hormone responsible for hair thinning. This solution works great for those with inflammatory scalp disease. However, this solution hurts. But if you focus on the result, it will deliver satisfying outcome. Those are some of the possible solutions and alternatives. Be sure to know the exact cause of your hair issue before you find the right hair loss treatment and solutions.